. . . . Not only is the fact that he was from Nazareth a feature of all versions of the stories but Nazareth itself appears, with Jesus being scorned and rejected there. This was clearly a problem for the gospel writers, because the Jewish expectation was that the Messiah was going to come from Bethlehem. So the writers of Matthew and Luke both tell stories to “explain” how a man who was known to be and who was depicted as being from Nazareth could actually have been born in Bethlehem. The problem is (i) their stories are riddled with historical problems that show they are inventions and (ii) they don’t just totally contradict each other, they are set ten years apart and are mutually exclusive. Again, this all makes perfect sense if he did exist and he was from Nazareth. They would need to “explain” how someone from a tiny, insignificant village in Galilee could actually have fulfilled the prophecy about Bethlehem. But it makes no sense at all if he was an invention or myth. If that is the case, why is Nazareth in the story at all? The only logical explanation is that it’s there because that is where he was from. Also featuring in “all versions of the stories” is the ability of Jesus to produce 12 baskets of food scraps after feeding 5000 with a few fish and loaves; and a resurrected person leaving a tomb. So we can see the relevance of a “fact” appearing in all four gospels. Even though scholars are very aware of at least Matthew and Luke being dependent on Mark as a source, and some also believe John to be derivative from Mark, too, they are not beyond the tendentious assertion that this or that detail is found in “all four witnesses”. A narrative cannot testify to its own historicity. External controls are always needed. No-one can pick up a story and, without any idea of its context, decide if it is a true tale or not. The mere fact that a story has a coherent plot is no more a verification of its historicity than if it is told less coherently. To accept as “true” any document or text on the basis of its self-testimony alone, without any reference to external context, is simply naive. Valid historical method does not work that way. Awkward facts or circular reasoning? It is said that Nazareth is one element in the gospel narrative that is “clearly awkward for the gospel writers”. I don’t see any awkwardness about its mention at all. It seems no more awkward than the mention of any other place: Capernaum, where Jesus preached; Bethany, where Jesus stayed by night while preaching in Jerusalem by day; Tyre, when he left Galilee altogether at one point. The awkwardness seems to be in the minds of modern readers who seem to be able to read the minds of the ancient authors and psychically see them somehow struggling over how to write about this particular place. Or maybe it is simply a matter of plain old circular reasoning: awkwardness in the narrative is presumed because we “know” in advance it was an awkward matter facing the authors. I am sure most lay Christians would be surprised to learn that their beloved nativity stories had “problems” with these two places. They are anchors of a beautiful and dramatic simple story told and reenacted every Christmas. The awkwardness is seen by the apparent “fact” that Nazareth does not fit the Jewish expectation that the Messiah was to come from Bethlehem. There is simply no evidence that there ever was such an expectation. Yet there is evidence against. This “fact” is nothing more than a backward projection by later Christians. In my earlier post I cited discussions in Fitzmyer and Thompson (historians of the Messiah concept at this time) and noted their lack of support for the common assertion that Jews were generally expecting a Messiah at this time, least of all one from Bethlehem. Yes, I have read Horsley’s bandits etc. and the rest. We can cheat a bit and superimpose messianic notions on some of these, but not one has the slightest hint of a whisper about a “general expectation”, let alone a Bethlehem birth. The author of Matthew’s gospel writes a narrative that contradicts the assumption that there was any such Jewish expectation. The wise men were not very wise or knowledgeable at all if they were not aware of what every Jew was supposed to have believed — that the Messiah was to be born in Bethlehem. In Matthew’s narrative they have to go to the royal court to ask the King to consult the wisest of the wise to decipher and deliver this information. Not even the King of the Jews, Herod, knew of it. And his Jewish attendants didn’t stop to tell him not to bother the priests, because everyone in town knew the answer to that one. Word got around that the magi were looking for a baby messiah and “all Jerusalem was troubled”. They didn’t all flock to Bethlehem, as would have been expected had they all expected that would be the place of the Messiah’s birth. Herod had to ask his wise men to find the answer. It could hardly, then, be said to have been an expectation in the heart of every Jew. Now when Jesus was born in Bethlehem of Judaea in the days of Herod the king, behold, there came wise men from the east to Jerusalem, Saying, Where is he that is born King of the Jews? for we have seen his star in the east, and are come to worship him. When Herod the king had heard these things, he was troubled, and all Jerusalem with him. And when he had gathered all the chief priests and scribes of the people together, he demanded of them where Christ should be born. Of course this has all the ring of a fairy story. But if we are to interpret this as some late development of an historical core, then we are reading how astrologers are unable to learn from general public knowledge about the place of the Messiah’s birth, and how they must resort to a special audience with the king. What’s more, we then read that that King had to shrug his shoulders and say he hadn’t a clue. He had to call in his wise men and pose the question to them. The so-called prophecy in Micah that the Messiah was to be born in Bethlehem was invented by the author of Matthew’s gospel to fit his narrative. The original passage in Micah 5:2 certainly meant no such thing to its original Jewish audience. It refers, rather, to a clan or individual named Bethlehem, a son of Ephratha. (1 Chron 4:4). It is one of many similar prophecies about a future Davidic king coming from the tribe of Judah (c.f. 1 Sam.17:12). So rather than being perplexed over how to reconcile apparent facts with beliefs, the author of Matthew’s gospel actually manufactured the “belief” that was supposed to have caused him so much difficulty! The gospel of Matthew’s author himself was the one who twisted the meaning of a verse that originally referred to personal or clan names and forced it to mean, instead, the town of Bethlehem. He wanted from the beginning to create a Bethlehem story. He was not “forced into it” so that he then had somehow to struggle to reconcile it with his Nazareth account. Literary contortions or routine visions and travels? It is also usually claimed that the authors of Matthew and Luke go to contorted or contrived lengths in their narratives to find ways to get Jesus from a birth in Bethlehem to his hometown in Nazareth. Again, I find such a claim to be without any foundation at all. Both authors use the simple and easy techniques used throughout the Old Testament narratives. It was never a problem for God to get Abraham, Isaac, Jacob, or the millions of the tribes of Israel in Sinai from one place to another. Tossing in visions, dreams, sending a plague or curse of some kind in one place, and offering a carrot somewhere else — all these techniques were familiar enough and are repeated routinely in the Matthew and Luke narratives that move Jesus from Bethlehem to Nazareth. Awkwardness again? Not at all. If that is the case, why is Nazareth in the story at all? The only logical explanation is . . . .
Of many insights I would like to revisit and share, here’s one I opened up again just now. It shows how this gospel, unlike other Jewish literature and, say, Matthew’s gospel, declares itself (through its Jesus) as the foundation of a new religion. Nothing new really in the big scheme of things here, but it does give another glimpse into the mind and context of the author of this gospel. The life of Moses furnishes an ample reservoir of legends from which Jewish writers of all persuasions could draw when searching for fresh models, symbols or arguments to encourage and inspire their own contemporaries. Thus Deuteronomy gives a new twist to some of the earlier episodes involving Moses in Exodus and Numbers. The same book anticipates further room for story development by announcing a future prophet “just like Moses”. Since the Exodus story is, among other things, a foundation myth, the frequency with which other writers turn to it should not surprise us. What may cause surprise is the number of guises in which Moses appears . . . . But Moses was not the only inspirational option available to writers. Books were also written in the names of Enoch, Baruch, Ezra. Yet although they were proposing new revelations they were not repudiating the old. I think of myself as neither a “Jesus mythicist” nor a “Jesus historicist”, but as someone interested in exploring the origins of Christianity. Whether the evidence establishes an historical Jesus at its core, or an entity less tangible, then so be it. Nonetheless, I cannot deny the importance and implications of the question. There are things that bug me about some mythicist arguments, too. But here I want to share the first of a series of responses I am making against the historicist position as summed up by a contributor on a Richard Dawkins website discussion forum. The idea that the stories about him are based on a historical figure is the most parsimonious explanation of how they arose, since the alternatives require repeated suppositions to explain away key elements in the evidence (eg all those “maybes” required to make references to his brother etc disappear). This would be true IF the earliest evidence is for a more human Jesus, with the later evidence demonstrating an emerging divinization of this person until he eventually reaches co-creator and sustainer of the universe god status. But the evidence we do have is actually the reverse of the above. The earliest evidence — such as an early hymn quoted by Paul (Phil. 2) — describes Jesus as equal with God, who had a brief temporary transformation to look like a human in order to be killed to effect a theological saving destiny for humankind, and was restored to the highest God-status and given the new name of Jesus, and worshiped by all as a reward. Paul’s Jesus as referenced in the rest of his letters hews to the same identity. Jesus for Paul is the Spirit and Wisdom of God, a God-head figure of worship, whose exalted heavenly status is the honour bestowed on him for his descent into at least some form of flesh for the purpose of crucifixion. It is the later evidence (among the gospels) that seeks to humanize Jesus. In Mark, he is said to become possessed by the Son of God spirit, lose his temper and need a couple of shots at healing a blind man. In Luke and Acts, his death is described as that of a merely righteous human martyr. A later copyist even added a scene with him sweating blood. The most parsimonious way to describe the this trajectory of the actual evidence is to see Jesus as beginning his history as a heavenly figure whose temporary appearance in the form of a man became the subject of later elaborations. He is mentioned by Josephus twice and by Tacitus once and the arguments required to make these clear references in two independent sources disappear require, once again, a small hill of suppositions and contrived arguments. On the contrary, the contrived arguments are those that have emerged since the Second World War when many things changed. Prior to that time the scholarly consensus — a consensus that included names like Albert Schweitzer and Walter Bauer — was that these texts are worthless as testimony for the historicity of Jesus. So to accuse anyone who dismisses the value of the Josephus evidence of resorting to “contrived arguments” is to insult some of the greatest names in the history of biblical scholarship. Sometimes intellectual changes reflect broader cultural developments, and this seems to be one case in point. It appears to coincide with the shift in scholarly consensus to exonerate or excuse Judas, and other scholarly research designed to emphasize the Jewishness of Jesus. Western guilt over past anti-semitism has been proposed as one explanation for some of these scholarly shifts. I suspect something similar at work in finding ways to bring the Jewish historian Josephus and Jesus together. The stories about him contain elements which are clearly awkward for the gospel writers (his origin in Nazareth, his baptism, his execution) and which they try, largely unsuccessfully, to explain away or which they downplay or remove. These elements are awkward because they don’t fit the expectations of who and what the Messiah was, yet they remain in the story. Apart from the subjectivity of deciding if a narrative detail is “clearly awkward”, this argument rests on a false premise. The fact is that there is no evidence for some general expectation among Jews for any particular type of Messiah at all in the period discussed. There is no serious attempt to place messianism within the broader matrix of social history. There is no interaction with, say, Richard Horsley or John Dominic Crossan’s work on social banditry and peasant movements (Bandits, Prophets, and Messiahs: Popular Movements in the Time of Jesus; The Historical Jesus: The Life of a Mediterranean Jewish Peasant). One might then ask of Fitzmyer what communities he thinks are reflected in his textual study. If, as many have suggested, only 5 percent of the ancient Mediterranean population could read and write, then what segment of the population is reflected in Fitzmyer’s analysis? Is his “history of an idea” representative of Jewish belief at large, or does it represent only a small segment of the population? Does Fitzmyer’s study of the “history of an idea” reflect only the elites’ mental peregrinations, which are largely unrelated to the general masses? And what difference, if any, would his answer to this question make to this “history of an idea”? There may also be some relevance here in Jon D. Levenson’s case that at least some not insignificant number of Jews in the Second Temple period coming to embrace a theology involving salvation through an atoning sacrifice of Isaac, as I have discussed in posts archived here. This makes perfect sense if the gospel writers are trying to make a historical figure fit the Messianic expectations and some elements in his story simply don’t fit well. But it makes no sense at all if they are making him up or his story simply arose out of the expectations. If that were the case his story would fit the expectations very neatly and these awkward elements wouldn’t exist. N.T. Wright and other mainstream academics join with apologists in using this logic to prove the historicity of the resurrection on the basis that the “embarrassing” and “uncomfortable” and “awkward” fact is that mere untrustworthy women were the first witnesses. This makes perfect sense if the gospel writers are trying to speak honestly about the historical resurrection of Jesus and some elements in their story simply don’t fit well. It makes no sense at all if the gospel writers are trying to make up a story about the resurrection. If that were the case, they would never have said women were the first witnesses. Everyone knew that women’s testimony was worthless in those days. So it makes perfect sense if the gospel writers were writing about an historical event. How else can you explain this of that fact? God/creationism/the tooth fairy are the only explanations that make sense of the evidence! No other explanation makes any sense! Bible scholars across the world have for many years believed that two of the Gospels of the New Testament – The Gospel of St. Matthew and St. Luke respectively were partly based on the content of a supposedly lost scripture referred to as “Q”. In a new research project, researchers from the Faculty of Theology will attempt to establish that this lost scripture never existed. 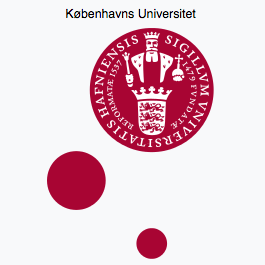 The Research Project at the University of Copenhagen, which has just been granted 4.7 million kroner by the Velux Foundation, has been titled “The Gospels as re-written Bible”. 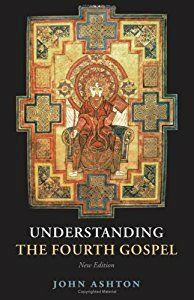 During the next tree years a group of scholars will map the development of the four gospels in order to establish that the Gospel of Luke is not, as believed so far, a contemporary of the Gospel of Matthew, and that the shared content of the two is not to be explained by the existence of a lost scripture, but by the fact that the author of St. Luke’s Gospel used St. Matthew’s Gospel as well as that of St. Mark as basis for his own scripture. Contact for this story is Professor Morgens Müller, Faculty of Theology. This post addresses an argument that is found well beyond the covers of Eddy and Boyd. Nevertheless, I have been discussing in this blog bits of Eddy’s and Boyd’s case for refuting what they label the “‘legendary Jesus’ thesis” and defending the historicity of Jesus, and to mention them here seems an appropriate anchor. One of their discussions I have not yet covered is about Paul’s apparent silence about the life of the human Jesus. The recent National Geographic translation of the Gospel of Judas was not based on all the fragments. Some of these had been apparently withheld, fraudulently. April DeConick has linked to preliminary (private use only) translations by Professor Marvin Meyer of these other Tchacos fragments of the Gospel of Judas. See her post, Ohio Fragments of the Gospel of Judas. All that changed, dramatically, on March 17th, 2008, . . . Ferrini not only admitted that he had withheld materials in 2001. He also . . . . returned to the court an hour or so later with a sort of lawyer’s briefcase with what appeared to be full page fragments inside. These were delivered to the custody of the court-appointed receiver, . . . . No one in the know . . . . were allowed to see the photographs, . . . . The photographs were sent to Prof. Gregor Wurst, . . . .
Gregor Wurst was amazed. What he discovered within these materials was essentially the balance of the Gospel of Judas. He could not show the photographs even to his closest colleagues – according to the obligations undertaken in good faith in Ohio. April and others have given reasons for questioning the National Geographic translation that presents Judas as the hero. on religion . . . . Okay, I see internet stats that inform me 85% of readers of this blog are in the U.S.A. — so maybe 85% of you already know about Lewis Black videos. But for the rest, enjoy! Whenever someone says Josephus is evidence for Jesus, a misperception of the facts is at work. The fact is that people express opinions about the evidence we read in Josephus. It is someone’s opinion that what is found in Josephus can or should be interpreted as a reference to the historical Jesus. There is no clear evidence at all in Josephus — only passages that have recently been interpreted that way. You’d think Haiti would be loaded. After all, it made a lot of people rich. How did Haiti get so poor? Despite a century of American colonialism, occupation, and propping up corrupt dictators? Even though the CIA staged coups d’état against every democratically elected president they ever had? It’s an important question. An earthquake isn’t just an earthquake. The same 7.0 tremor hitting San Francisco wouldn’t kill nearly as many people as in Port-au-Prince. What is already all too clear, ­however, is the fact that this impact will be the result of an even longer-term history of deliberate impoverishment and disempowerment. Haiti is routinely described as the “poorest country in the western hemisphere”. This poverty is the direct legacy of perhaps the most brutal system of colonial exploitation in world history, compounded by decades of systematic postcolonial oppression. The relentlessly maintained, deliberately inflicted political and economic ruin of Haiti has a direct bearing on the amount of death and devastation that the country is suffering today after the earthquake. It will also greatly cripple any recovery from this natural disaster. As detailed below, Washington’s rapacious economic policies have destroyed all attempts to build a sustainable economy in Haiti, driving people off the land and from small communities into packed, dangerous, unhealthy shantytowns, to try to eke out a meager existence in the sweatshops owned by Western elites and their local cronies. All attempts at changing a manifestly unjust society have been ruthlessly suppressed by the direct or collateral hand of Western elites. I was enjoying myself at a music festival when the news of the tsunami broke (2004). It changed everything. The whole site became dedicated for the next few days to raising money for the victims. I was planning on visiting Padang in southern Sumatra, Indonesia, when the earthquake hit them. I knew that again western countries would be being deluged with efforts to raise money and many would give generously. Inevitably there are concerns expressed, too. Where does the money actually end up? But that doesn’t seem to really matter tooo much in most cases. Even if only 20% of what we give “gets through” — that yields a better result than having given zero. I had not realized how western-centric I had become, thinking it was all a matter of “us westerners” giving to the poor. Stories circulated about corruption at the other end. So I was moved to see when I did visit other outlying islands of Indonesia to find that the locals seemed not to have heard of western aid. They acted as if it was all up to them. I confess I was a little moved to see such poor people acting in solidarity with their own and giving what they could. I didn’t want them to give anything — how could they afford it? Where you can get “a meal” for a little as a few cents from a street hawker, the poorest were giving the equivalents of a few cents, a few even of a dollar or two. They were the equivalents of a westerner giving tens and twenties of dollars. And it is all in open boxes. No receipts. No tax breaks. No accounting. Just trust. People acting together to care for their own. When approached by those raising money I felt all eyes on this western visitor to their country to see what he would do. I put in a blue looking note with a few zeroes on it, not much at all in my currency but far more than any other single donation in the box. I knew I had done the right thing when a man from across the street yelled in gratitude and gave me a thumbs up and big smile. The word got around ab0ut how this privileged westerner conducted himself among at such a time. It was unforgettable — to think how easy it is for westerners to forget that we are only helping from the sidelines. Those people themselves are the ones with the heartaches, and they think only of seeing what they themselves can do. Western aid is an extra. (It is mostly money in the pockets of the western contractors, too, but that’s another topic for another time.) It was a sobering experience that helped put me back in my place. It is the local inhabitants who are bearing the burden, of both suffering and relief efforts. Indonesian youth preparing to walk through the market to collect money for their earthquake victims in Padang, 2009. It’s become a trite argument for religionists to justify evil in the world by saying we want our freedoms. God also wants us to be free to choose, so we are told, and that’s why he allows evil. To prevent evil he would have to take away our free will. Evil has nothing to do with being free or having free will. It is all about being human on a planet not entirely benign for its many life-forms. Being human is not always bad. Most people anywhere I think are basically caring and hospitable and kind to others. There are arseholes too, of course, but they are mercifully the few. I don’t believe either type of human is the way they are because they “choose” to be like that. Or I should rather say I doubt that they are. Sure we may think a lot before deciding to give to a particular charity or beggar or before deciding to actively commit to a social justice cause. But isn’t that just a matter of us being us? What worries about free-will (it also kind of reassures me) is that set of experiments that have demonstrated that people really make up their (false) reasons for making a particular decision. I wish I could think of sources and specifics right now. It might be worrying to think that we will be shown to not have the freedom of will we like to think, and that our responses are as basic or hidden as they are for any other social animal. But at the same time there’s a hope and a reassurance in there. It’s nice to know we really “are what we are”, and we are all of the same kind. More room for understanding and compassion. Not that I “choose” to have more understanding and compassion, mind you. It’s just that that’s me. As I keep having to remind my partner, I really am just a nice guy after all. Like most of us. A (Near) Bible Text Discovered in the Ancient Kingdom of David? The claims come from Prof. Gershon Galil of the University of Haifa. He is not an archaeologist, but an historian and interpreter of archaeological finds. This is interesting because one of the loudest complaints against so-called “minimalists” like Philip Davies, Niels Peter Lemche and Thomas L. Thompson is that they are not archaeologists, but historians who interpret the archaeological reports. But moving on, and not to get sidetracked with inconsistencies like this, here is Professor Galil’s claims as reported in what appears to be a University of Haifa press release. “This text is a social statement, relating to slaves, widows and orphans. It uses verbs that were characteristic of Hebrew, such as asah (“did”) and avad (“worked”), which were rarely used in other regional languages. Particular words that appear in the text, such as almanah (“widow”) are specific to Hebrew and are written differently in other local languages. The content itself was also unfamiliar to all the cultures in the region besides the Hebrew society: The present inscription provides social elements similar to those found in the biblical prophecies and very different from prophecies written by other cultures postulating glorification of the gods and taking care of their physical needs,” Prof. Galil explains. . . . . He adds that the complexity of the text discovered in Khirbet Qeiyafa, along with the impressive fortifications revealed at the site, refute the claims denying the existence of the Kingdom of Israel at that time. Impressive fortifications refuting the claims denying the Kingdom of Israel? A few months ago I discussed what the evidence of the fortifications found in Judea around this period. It is surely fanciful to link them with a centralized kingdom of Israel! The contents of the text express social sensitivity to the fragile position of weaker members of society. The inscription testifies to the presence of strangers within the Israeli society as far back as this ancient period, and calls to provide support for these strangers. It appeals to care for the widows and orphans and that the king – who at that time had the responsibility of curbing social inequality – be involved. This inscription is similar in its content to biblical scriptures (Isaiah 1:17, Psalms 72:3, Exodus 23:3, and others), but it is clear that it is not copied from any biblical text. John Loftus on Debunking Christianity has already published a fine piece raising awareness of translation and dating controversies. I repeat here the translation comparisons, and then cite a few ancient nonbiblical texts that ought to give pause to anyone taking Galil’s claims of the uniqueness of the society of ancient Judah. 2 ruler of [geographical name?] . . . ruler . . .
3 [geographical names?] . . .
4 [unclear] and wreak judgment on YSD king of Gath . . .
5 seren of G[aza? . . .] [unclear] . . . The reader might be forgiven for questioning the certainty of either translation. But assume the former is the truer. Here is a small sampling of similar Middle Eastern texts, from an appendix in The Messiah Myth (2005) by Thomas L. Thompson. To assign a uniqueness to Israel’s culture on the basis of a few lines of this sort of poetry is patriotic arrogance in the extreme. To your opponent, do no evil. Recompense your evildoer with good. To your enemy, let justice [be done] . . . . Give food to eat; give date wine to drink; honor, clothe the one begging for alms. Over this, his god rejoices This is pleasing to the god Shamash; he rewards it with good. Be helpful. A maid in the house, do not . . .
Whatever you say, O Telepinus, the gods bow down to you. Of the oppressed, the orphan and the widow you are father and mother; the cause of the orphan and the oppressed you, Telepinus, take to heart. A father to the fatherless, a defender of widows, is God in his holy habitation. Each day you give justice to the oppressed and abused; you administer the destitute, the widow, the wretched and the anxious . . . I think there is much more public familiarity with the similar texts from Egypt which I won’t repeat here. There is hardly anything remarkable or unique about the content of the text. What might be a bit unusual is that the content is not about trade administrivia, nor, apparently, is it a few lines of praise for a deity. Or maybe it is a few lines about a deity. Or maybe . . . . Let’s wait and see. Eddy and Boyd’s fifth and final point in “the case for the authenticity of 1 Thessalonians 2:13-16” is to address the theological contradiction that exists between it and Romans 9-11. These thoughts in Romans do not sit easily with a passage (Thess 2:14-16) that blames the Jews for the death of Jesus and for filling up daily the full quota of all their sins, and proclaims that, for these reasons, God has poured out upon them his wrath with utter finality. the Jews, who killed both the Lord Jesus and their own prophets, and have persecuted us . . . so as always to be filling up the measure of their sins, but wrath as come upon them to the uttermost/utter finality. As Steven Carr has been pointing out in a comment here and on at least one other forum (FRDB), to describe the sin of crucifying and otherwise murdering Jesus and all the prophets as a condition of “continuing in unbelief” really just does not compute. Eddy & Boyd: in denial over Bible’s antisemitism? Forbidding and hindering us from speaking to the Gentiles (the nations) that they may be saved. So as always they fill up [to the brim the measure of] their sins. But God’s wrath has come upon them at last [completely and forever]! Both the context of 1 Thess 2:13-16 and the comparison with Testament of Levi 6 strongly suggests that the use of generalizing language neither consigns all individuals within the group of “the Jews” to perdition nor implies that all individuals within this group are guilty of any or all points of Paul’s indictment against the group. That is the total sum of their rebuttal of this point. (This was discussed in the previous post, (4)). I am curious as to why they bracketed the word anti-Semitic with inverted commas. Do E&B think that the passage is not really antisemitic, or that the accusation is not a serious one? Do they simply profess not to see what others “often remark” upon? Gentile authors of the Hellenistic-Roman world repeatedly spoke of the Jews as a people which . . . were standoffish and hostile toward other people. Because these statements have been identified with “Gentile anti-Semitism,” their appearance in 1 Thess 2:15 has been regarded as evidence against Pauline authorship of that verse. . . . Strange how some modern authors cannot bring themselves to call a spade a spade when it comes to the Bible. Given the history of Christian antisemitism it is surely inexcusable for any public intellectual to hold their fire when addressing verses that have historically fanned that evil.